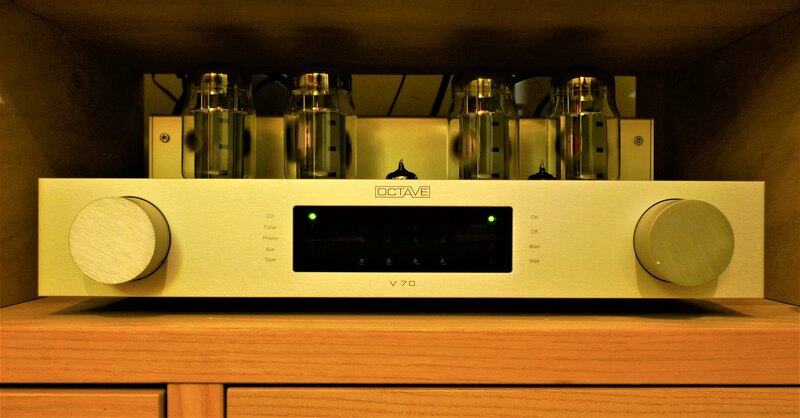 Octave V70SE integrated valve amplifier and black box power supply upgrade, both in silver. 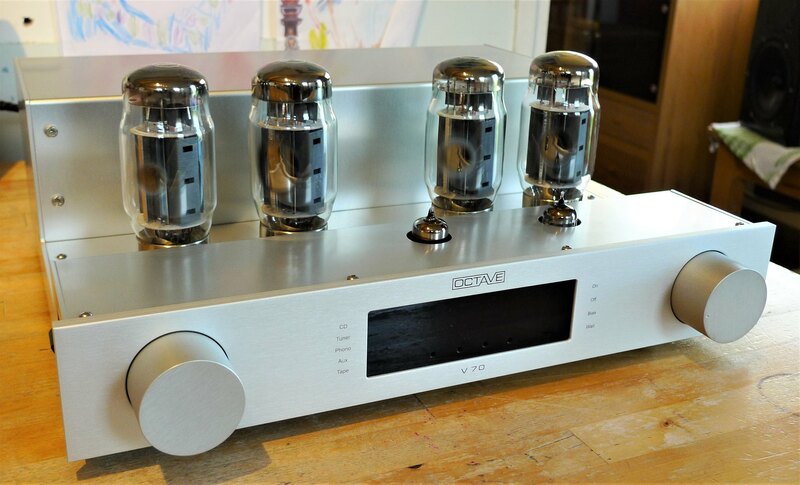 I may regret this, but I have decided to try active speakers, which means there is now an opportunity to purchase this wonderful tube amplifier. 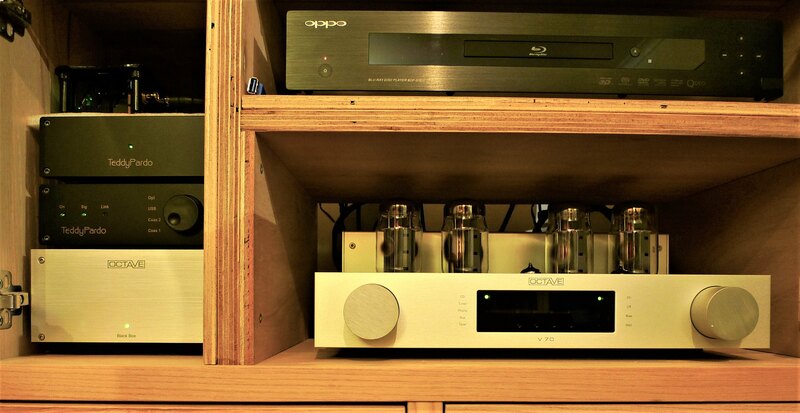 I am the second owner and have enjoyed seven fantastic years listening to and beholding this amp. This is a V70 amp which received an upgrade from the factory to SE specification in 2011 (I have the invoice). Included in the sale is a black box power supply upgrade which multiplies the PS storage capacitance by 4x. This improves the dynamic range and helps the amp cope with low impedance speaker loads. I initially purchased this after reading that Dynaudio (which I owned at the time) used Octave amps in their show systems. The amp sounds great, very powerful and punchy and clean yet refined with lovely rich harmonic colour. Best of both worlds. It outputs about 70W per channel. This is a low maintenance valve amp, biasing the power tubes is made very easy with small pots on the front face and LED indication of bias voltage. Unlike many components, I have never felt the itch to try something else. Only the purchase of active speakers makes this redundant. I have the original packaging, manuals, valve cover and remote. 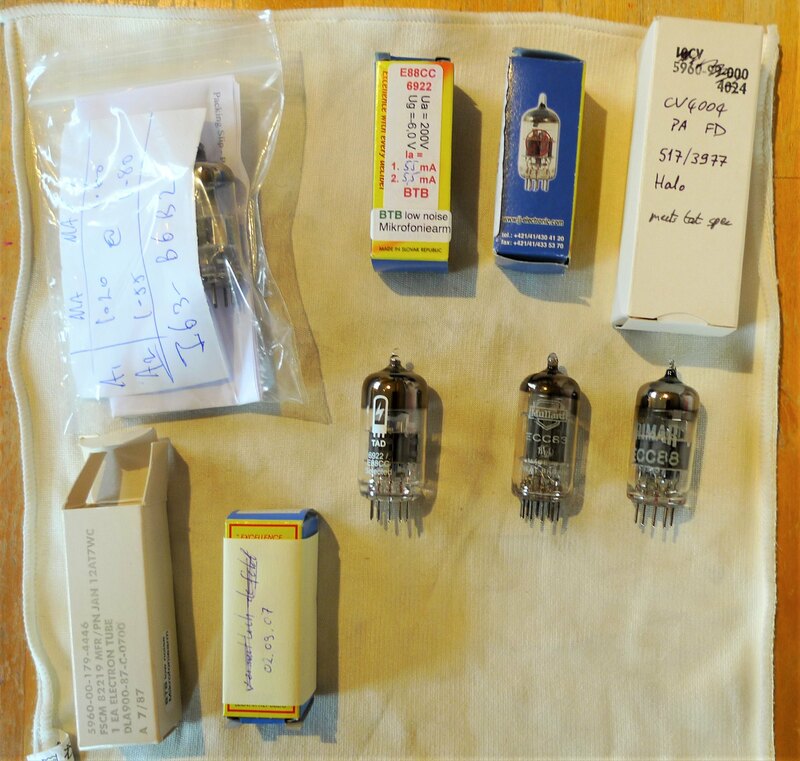 I will also throw in a few ECC83 input tubes. Currently running KT120 power tubes, I will also include 3x 6550 and 4x KT88 (used but working). I have only needed to replace power tubes once in seven years when one 6550 blew. The amp is in immaculate condition, as good as new really. You may see a couple of tiny marks where the tube cover screws down, but this would have been the case when unboxed for the very first time. Faultless electronically and audibly, this is built like a tank and should still be singing many decades from now. Octave V70SE currently retails for £4,795 and Black Box for £990 (Elite Audio). Asking £2,500 £1950. Collection and demo welcome near Tewkesbury. I could post after cleared funds but this is very heavy and with full insurance could be expensive. Also selling Zingali Zero Otto speakers, see separate advert. Lovely amp, I’m very tempted and have an immaculate 18 month old barely used Modwright 36.5 (first owner) in silver for sale at about the same price (have upgraded to DM version). Lovely amp, I’m very tempted and have an immaculate 18 month old barely used Modwright 36.5﻿ (first owner) in silver for sale at about the same price (have upgraded to DM version). Sounds interesting, drop me a PM. Thinking nothing complicated - straight swap probably, meet up half way for safe transport! Need to do a bit of research about the Octave but I’ve seen these before and had one in the back of my mind. I have some Revel Gems that from experience love a spirited 70w valve amp. The Mod has been boxed up unused almost a year. I’ll PM you details of the amp later. 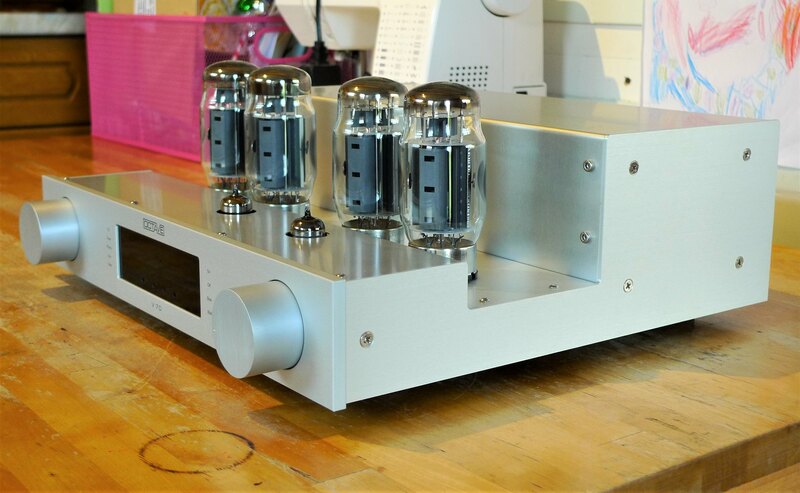 Why not try the Benchmark Dac. It does what you require and the performance was close to my AS DAX Decade balanced. The AS is also an option. Both are much cheaper than your amp. Thanks for the recommendation Yoda. Lots of options with DACs, not so many with preamps ! Taken some more photos. Here are a few, but you can see more on Flickr. 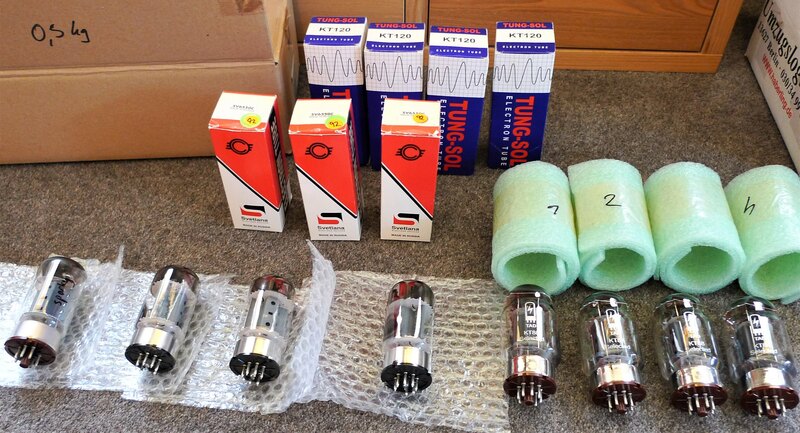 All tubes photographed included in the sale. So that's six 6550 (above was incorrect), four KT88 and four KT120, plus some nice small tubes (couple of Mullards in there). Some untested but believed to be working.